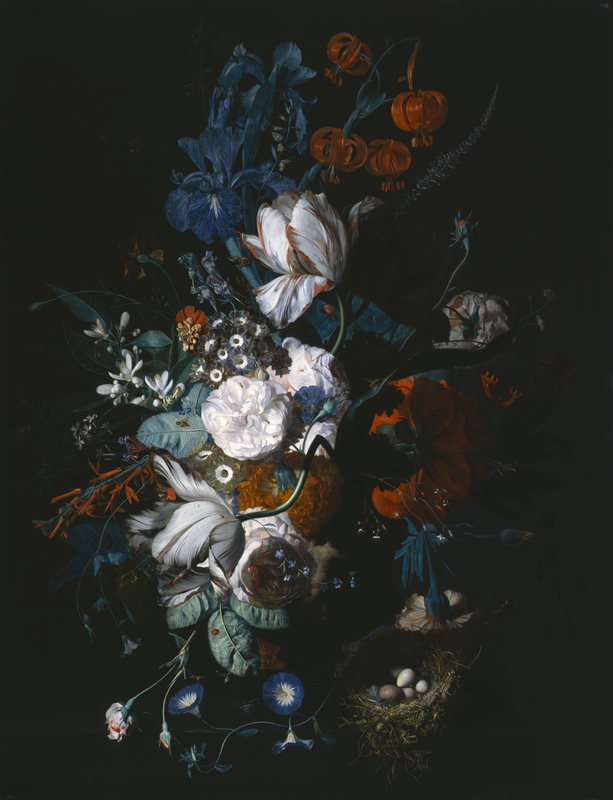 This rather splendid exhibition celebrates the virtuosity of the Dutch artist Jan van Huysum (1682-1749) and underlines the reason for his being regarded as the foremost still-life painter of his day. 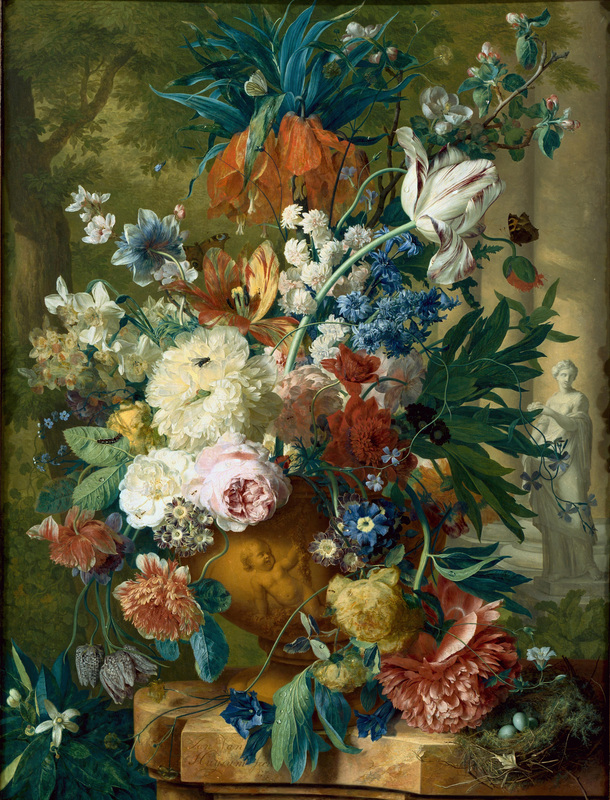 Dulwich’s own painting is joined by three others, including Flowers in a Vase with Crown Imperial and Fruit and Flowers in front of a Garden Vase which have been together since they left the painter’s studio circa 1732. What is particularly striking about them is they appear to have been painted as a “pair”, which is unusual in his oeuvre. 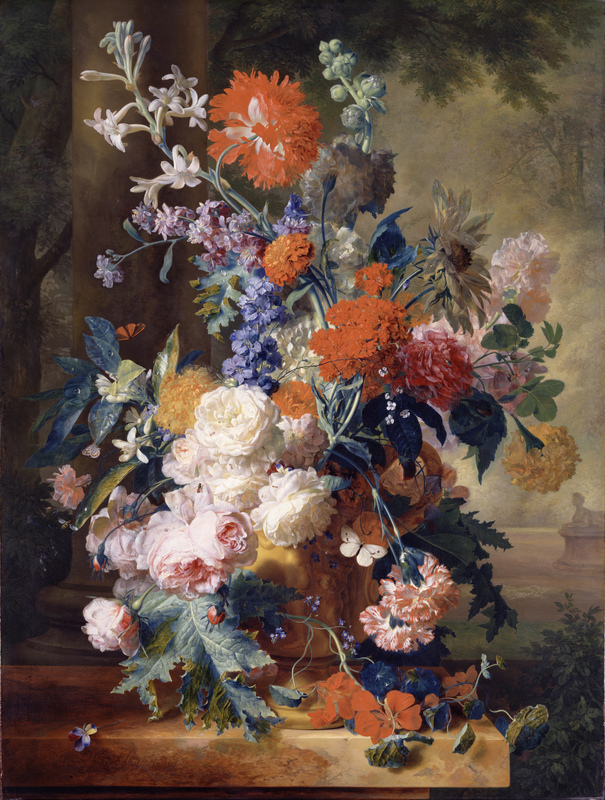 They certainly show how complex his arrangements could be as sometimes he included 35 different flower types which, of course, in his day would not have been seen together at the same time of year. Hence, as he worked from sketches, a painting could take two years to be completed which resulted in him signing them with two dates. He was popular with collectors in his own day and one can see why that popularity has endured across the years. 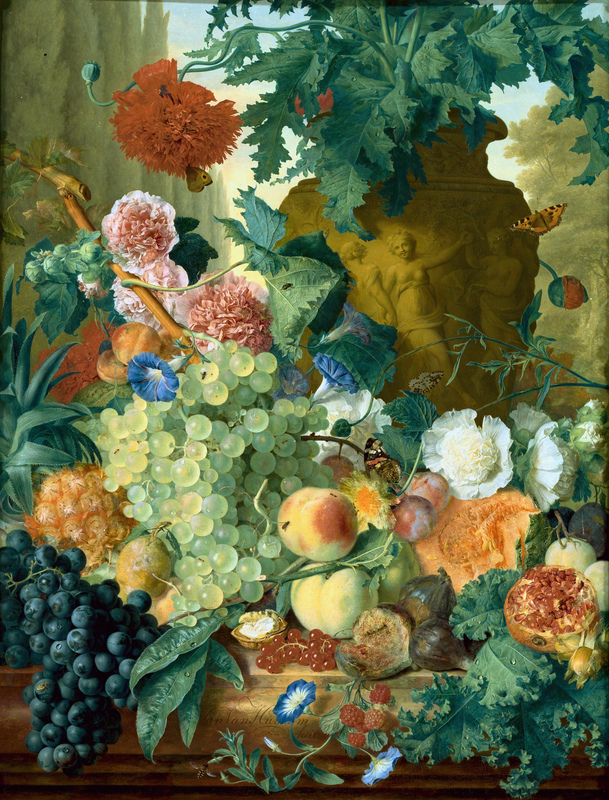 This entry was posted in Fine Art, Old Masters, Visual Arts and tagged Dulwich Picture Gallery, Dutch Painting, European Art, Fine art, Visual Arts.